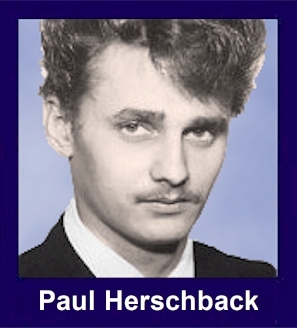 The 35th Infantry Regiment Association salutes our fallen brother, SP4 Paul Dell Herschbach, who died in the service of his country on February 21st, 1968 in Quang Nam Province, Vietnam. The cause of death was listed as Truck Hit Mine on Convoy from LZ Ross. At the time of his death Paul was 20 years of age. He was from Grove, Oklahoma. Paul is honored on the Vietnam Veterans Memorial at Panel 40E, Line 52. The decorations earned by SP4 Paul Dell Herschbach include: the Combat Infantryman Badge, the Bronze Star, the Purple Heart, the National Defense Service Medal, the Vietnam Service Medal, the Vietnam Campaign Medal and the Vietnam Cross of Gallantry with Palm Unit Citation. Paul is buried in the Butler Cemetery, Grove, OK.
For meritorious service in connection with military operations against an armed hostile force in the Republic of Vietnam. Specialist Four Herschbach distinguished himself while serving as a Fire Team Leader with A, 2/35th Infantry. Specialist Four Herschbach immediately demonstrated a working knowledge of infantry tactics and leadership ability. He always remained calm in dangerous situations but reacted quickly when the need arose. He soon earned the position of Fire Team Leader. He aggressively accepted the responsibilities and properly earned the respect of his men and superiors through his disciplined control of his team and constant concern for its welfare. Whether on a combat assault, a search and destroy mission or manning a listening post, he always led his team well and contributed significantly to the successes of his unit's mission. On 21 February 1968, Specialist Four Herschbach was on a resupply mission returning from a forward fire base near Que Son, when the vehicle he was riding in hit a hidden enemy mine. He was mortally wounded by the resulting explosion. Specialist Four Herschbach's outstanding achievements, professional integrity, and devotion to duty are in keeping with the highest traditions of the military service and reflect great credit upon himself, his unit, and the Unites States Army.